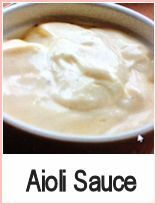 This recipe is best made using an electric whisk - hand mixer - it's possible to do it by hand, but is hard work! You can poach four fish steaks - try something really meaty, like halibut or turbot in about 5 fl ozs wine - cover and simmer for about 5 minutes until the fish is cooked through. Strain the liqour and keep the fish warm. Take the garlic cloves and crush them with the flat blade of a large knife. Mix to a paste with the salt - really smooth. Put the garlic paste into a bowl with the egg yolks and lemon juice and whisk together well. 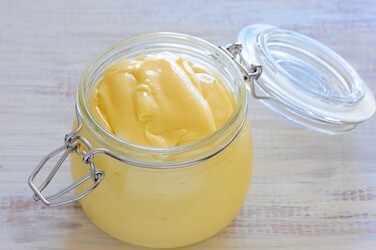 Incorporate the oil slowly until you get a nice thick mayonnaise type sauce. 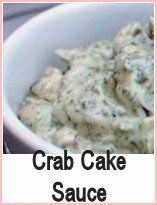 Add the cooking liqour and parsley - mix together well and pour over the cooked fish or shellfish. 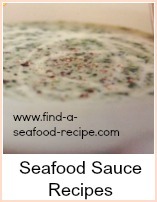 This is an absolutely delightful seafood sauce - serve lots of fresh crusty bread and make a pig of yourself!